Are Video Transcription Service Essentials? Video transcription is the activity of translating the video’s audio into text format. This process is usually performed either with automatic speech recognition technology, human transcriptionists, or both. The text is created by carefully watching and listening to the video a few times and typing out every word that is spoken. ShanSingapore is an International Digital company who are specialists in providing various services like Translation, Transcription, and Professional Video Transcription Services. ShanSingapore guarantees accuracy and affordability while maintaining the data quality, security, and confidentiality. 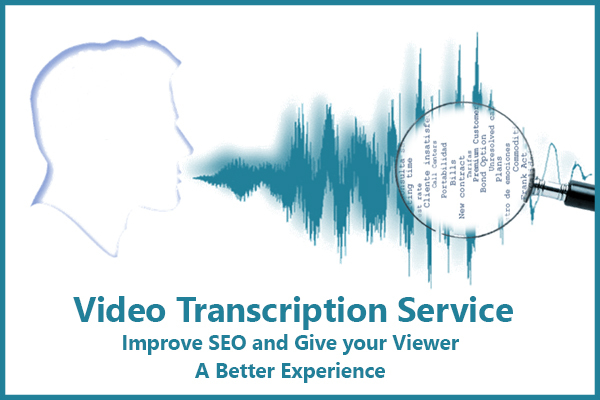 Visibility – Video Transcription Services help in improving SEO. Normally search engines can’t crawl video, the transcript thus provides essential text which is indexed and ranked making the video more searchable across the web, data can be searched within your website or archives too. Improved user experience – Since the viewer has access to video transcript, it provides a better experience for an audience as they can follow the video along with a written version. Eases Translation – Since the video has been already transcript, it helps in creating subtitles in other languages. Easy Access- Video transcription services can be immensely helpful for online learning, training, researchers as transcripts act as captions for learners.It aids the deaf and hearing impaired viewers.It is useful for audiences who are in sound-sensitive areas like hospitals, airports, railway station, etc.. It is important for non-native English speakers.Video transcription is helpful for people who are in the field of academics, business, music, commercials etc..So why not use the Video Transcription Services by ShanSingapore to upgrade your business and empower your brand image? Please refer https://shansingapore.com/ for more info.